Over the years, your emotions can leave an imprint on your face. Whether it’s frowning, smiling, or squinting in the sun, this repeated motion gradually creates lines we call wrinkles. BOTOX COSMETIC® is a medical treatment used to reduce the wrinkles created by the muscles of facial expression. 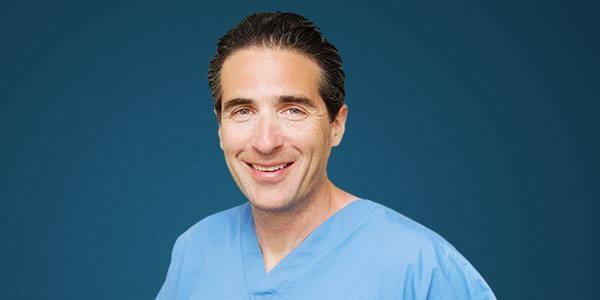 As an experienced facial surgeon Dr. Richard Rival is intimately familiar with the anatomy of these muscles. Women and men visit him for BOTOX treatments in Toronto and Newmarket, Ontario administered with a high degree of care and precision. To learn more about BOTOX COSMETIC treatments, request a consultation online with Dr. Rival or call us toll-free at (866) 229-3223. Women and men from throughout Canada choose Dr. Rival for a variety of non-surgical treatments in addition to facial plastic surgery procedures. What can BOTOX treatments do? Some BOTOX patients also choose an injectable filler such as Restylane®, while others might require a surgical procedure to improve loose, sagging skin. Dr. Rival will review available Medical Spa treatments as well as your surgical options including eyelid surgery in Toronto during your consultation to help you meet your aesthetic goals. BOTOX COSMETIC is made from a purified protein produced by the Clostridium botulinum bacterium (onabotulinumtoxinA). It is used to temporarily relax muscles that produce undesirable facial lines and creases. At Rival Cosmetic Surgery, we charge $10 (+HST) per unit of BOTOX. The number of units you will need is dependent on the size and number of treatment areas. Treatments are performed during a quick office visit and can take as little as 15 minutes to complete. A fine needle is used to make injections in precise areas of the targeted facial muscles. Most patients experience little to no pain, only a mild “pinprick” sensation. After BOTOX treatments, wrinkles will gradually soften over the following 2 to 3 days as the muscles relax and the skin smoothes out, although experiences vary. The final results are usually reached within 2 weeks. The effects usually last 3 to 5 months, but can vary from person to person. It appears that over time repeat users seem to get longer lasting results. Side effects from BOTOX are uncommon. Occasionally you may get a bruise or localized redness from the injection that may last a few days. Temporary drooping of the upper eyelid occurs rarely, but is usually improved with eye drops. This is a common misconception associated with BOTOX injections. BOTOX smoothes out the wrinkles around the eyes, in between the eyebrows, and on the forehead. You will still be able to move your face and express emotion normally. The change is usually subtle and natural making you look refreshed and younger.